oving up the entry hall staircase–and past the ‘bear’ lit staircase, our tour continues in the Master bedroom and bath. Everything in this bedroom is unique and exquisite–a design feast for the eyes. 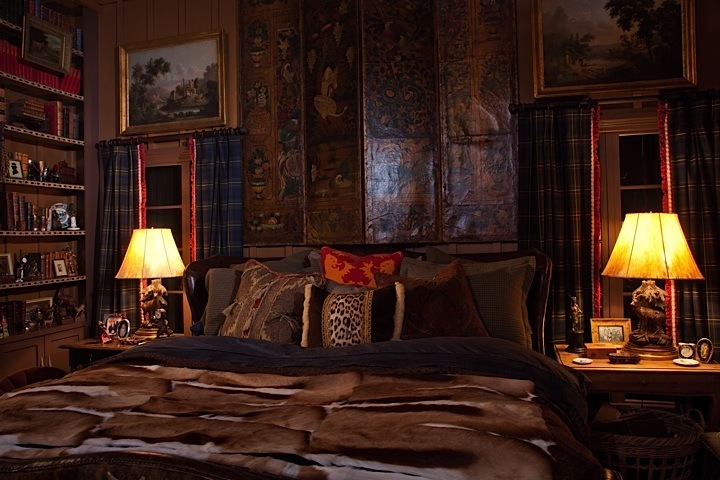 The draperies are Tartan plaid ( a nod to Bill’s Scottish ancestry), the bed is layered in faux fur and every inch of this room is loaded with design ideas. I could spend days sitting in this room relaxing by the fire, reading a book, watching a movie or drinking bubbly by the tub … more on that later. Creature comforts are the main focus of this room. Run to the kitchen–really–get a glass of bubbly and settle in. These rooms are simply amazing. Old wood covers the ceiling and draws your eye up to the old mill fan–Tartan draperies topped with paintings flank the bed. The winged headboard and footboard are leather on one side and cowhide on the other with nailhead details. The 18th century French screen is leather and partially guilded, it features a bird and floral motif–referencing back to the ‘Laurel Nest’ name. An antique Austrian hide and horn bench sits at the foot of the bed. 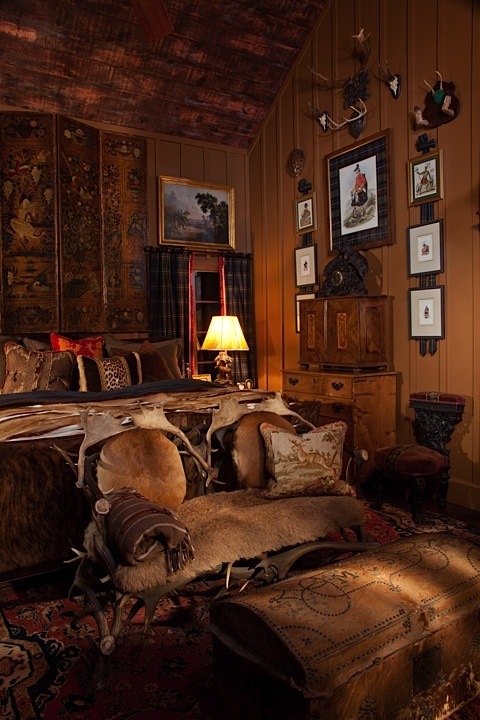 The wall is decorated with a floor-to-ceiling arrangement of prints featuring Scottish Gents and antlers. 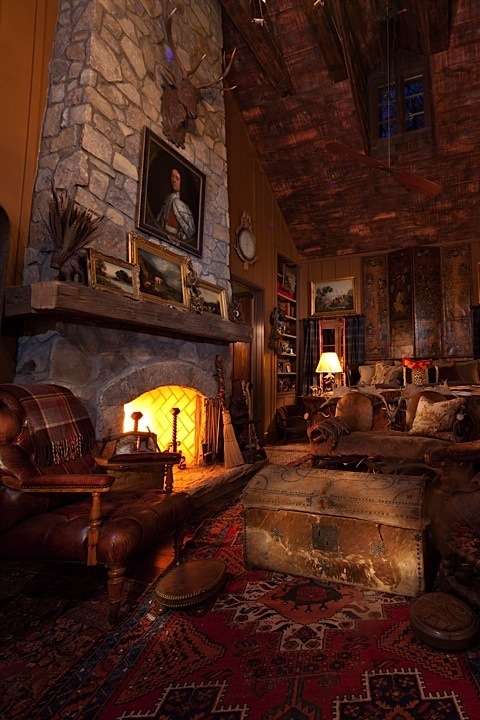 Grab a book off the shelf and enjoy the evening in front of the fire. 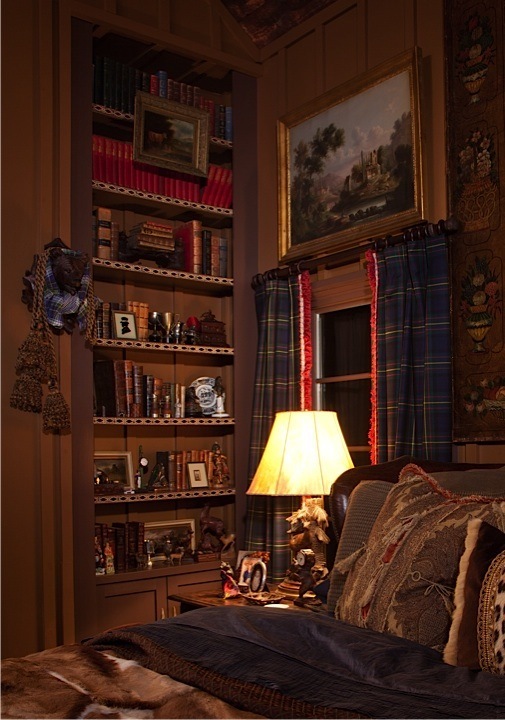 Beautiful passementerie trims the bookshelves that are arranged with tartan objects and family heirlooms. 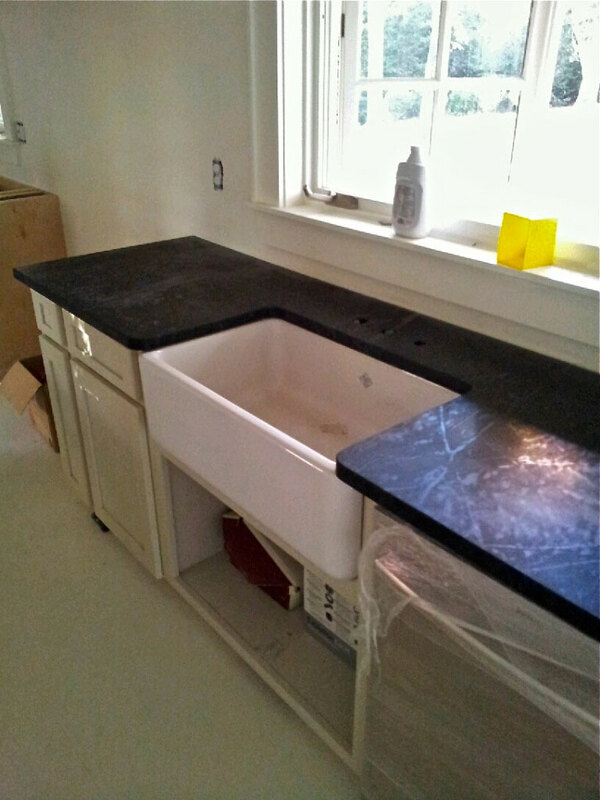 And now for the Master bath! 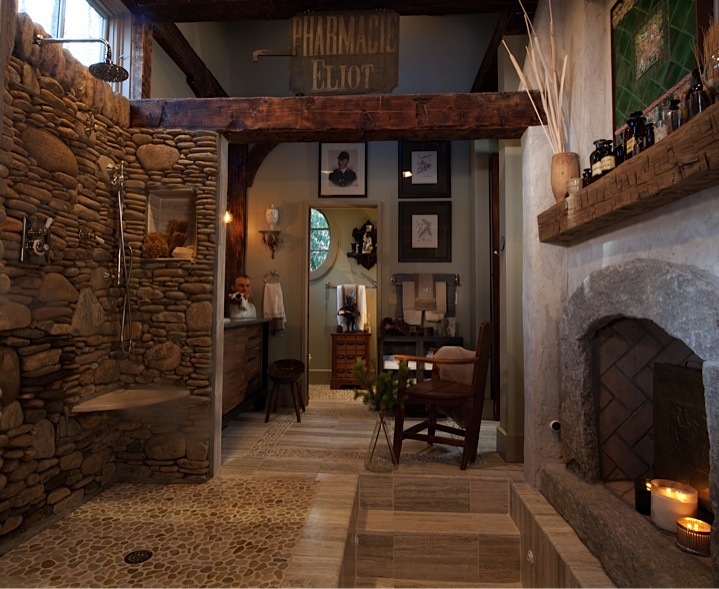 Stone floors and shower, sunken marble tub, two-sided fireplace beside the tub, old barn beams … everything your heart could desire is in this bathroom. 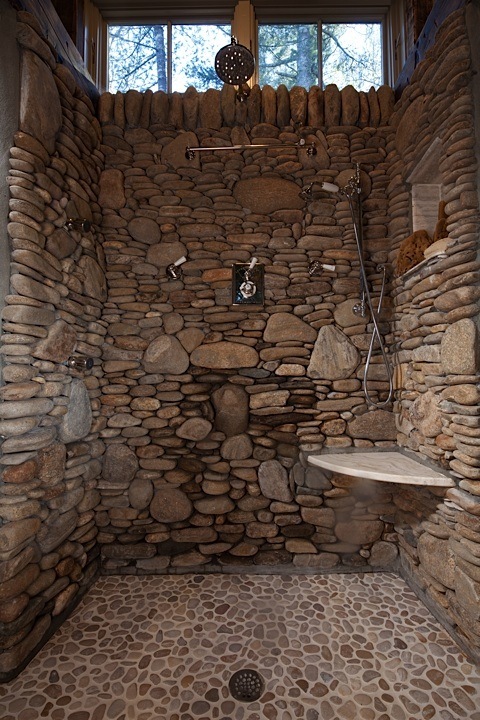 Closer view of the stone-walled shower–love the stone bench detail. The shower drains directly into the tub in front of the fireplace. Yes, please! A closer look at the shower and sunken tub. 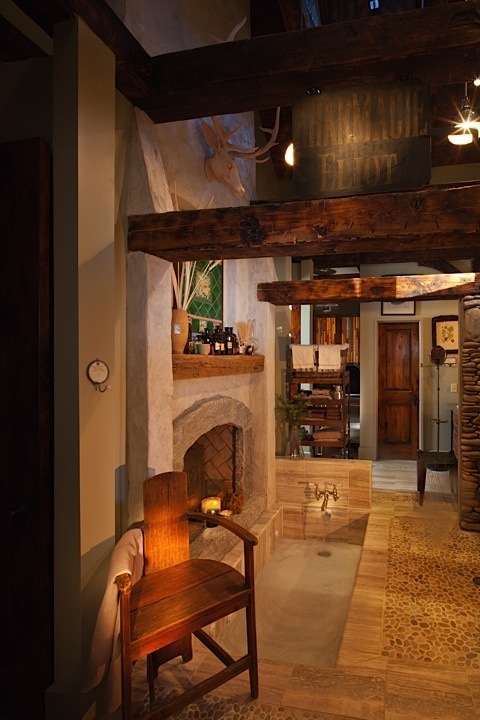 Oh, and there are old barn beams and wood details everywhere–could it get any better than this. The bathroom vanity and WC beyond. I love the repetition of the circle in the mirror and the window. Looking back to the tub and fireplace you see a glimpse of the small kitchen located in the master bath. This charming corner contains a wine cooler, ice maker, and a coffee maker–heaven. 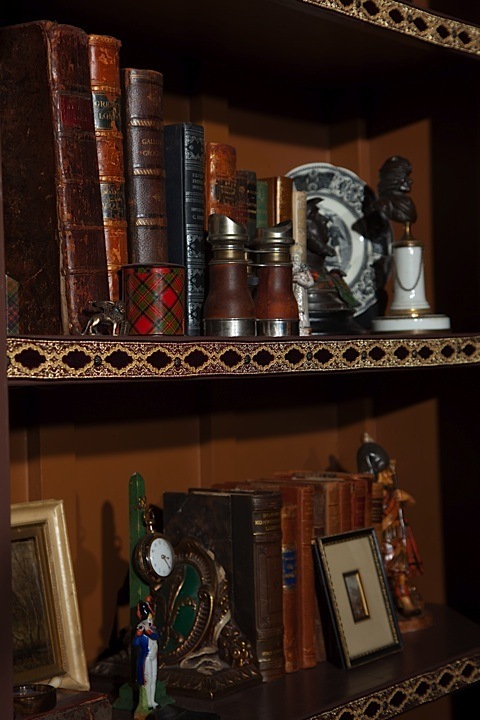 The unique and charming cabinets were made by Michael of old rulers and measuring sticks. I am so going to steal this idea! 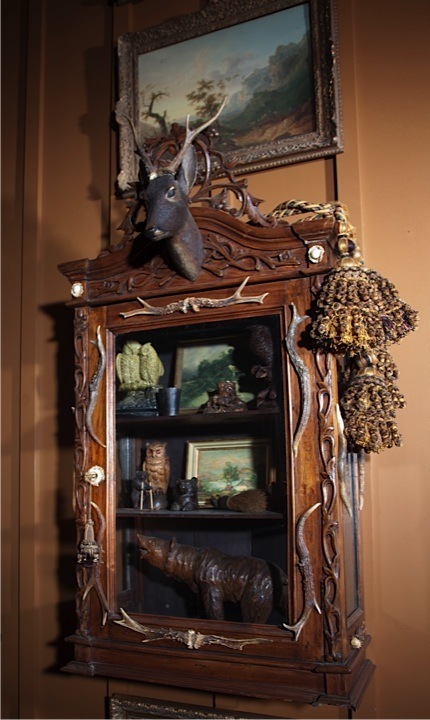 This small Black Forest cabinet is located just outside the bath and leads the way to the porch. Porch? Yes, there is a screened porch located in the Master bedroom–and it overlooks the lake! 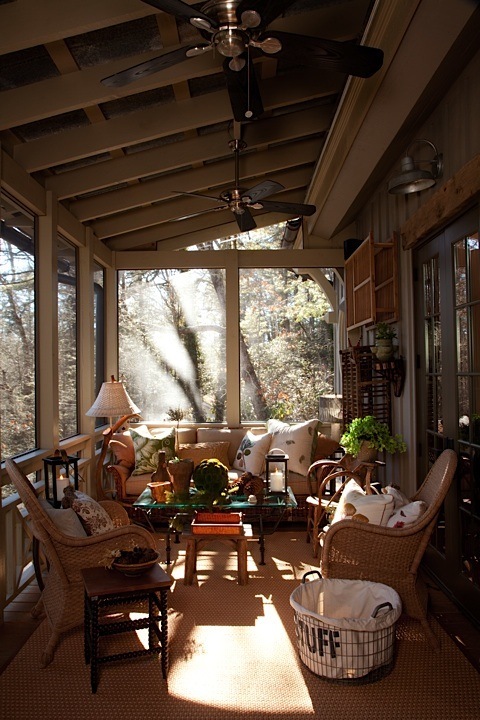 Just imagine morning coffee or evening cocktails on this porch overlooking the lake … perfection. Bubbly for all … if you have not already finished yours. 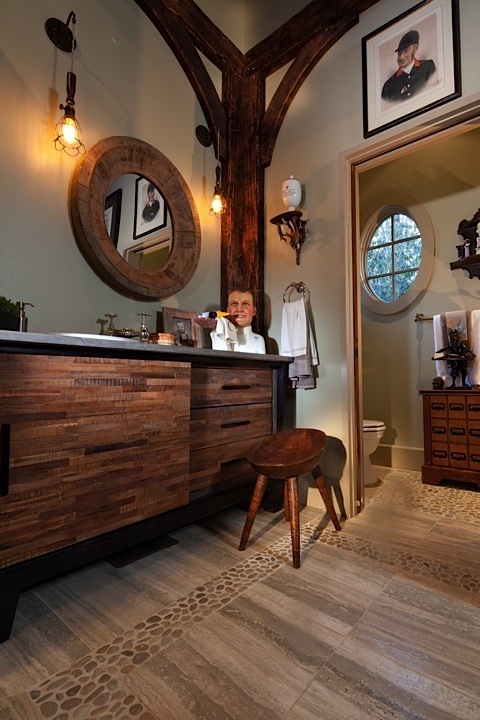 I hope you enjoyed the tour of this amazing Master bedroom and bath. That is truly amazing!!! 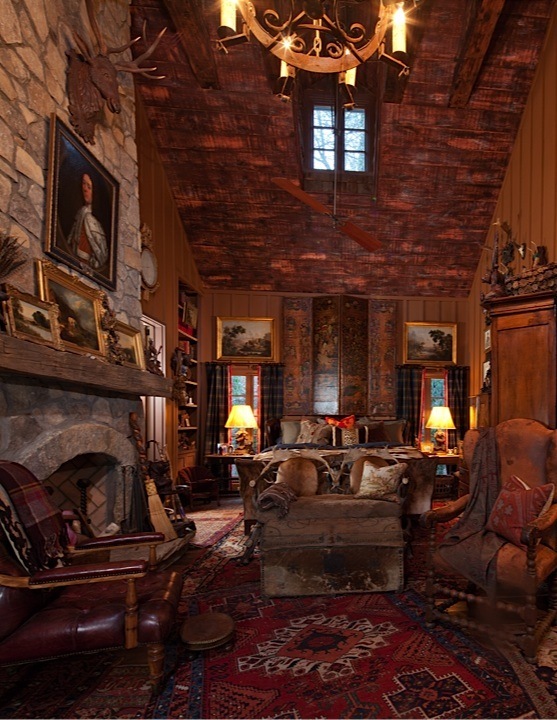 Love the Tartan plaid and the stone fireplace and the black forest cabinet. 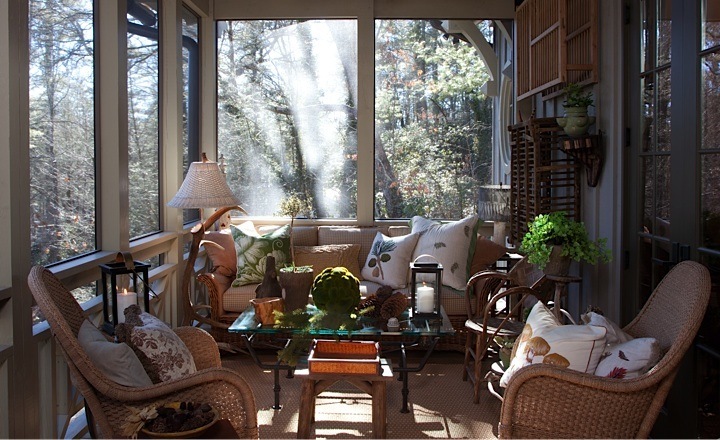 Also, love that screened porch. Would love to see Laurel Nest in person! The whole place is great! Margaret, It is truly amazing and belongs to Bill Cook. You can see more in the Current issue of Atlanta homes & Lifestyles.